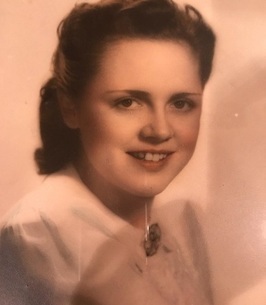 Anne Johnson Service Details - New Holland, Pennsylvania | Beck Funeral Home, Inc.
— Beck Funeral Home, Inc.
"Dear Johnson family, I had the privilege of caring for Nana at Evergreen Estates as well as Lancashire Hall. I enjoyed many conversations..."
Anne M. Johnson, 99, formerly of Leola, died on Thursday, October 4, 2018 at Lancashire Hall. She was the wife of the late Robert G. Johnson who died in 1988. Born in Philadelphia, she was the daughter of the late William and Sara Kaney O’Neill. Anne had worked in the office of the Delaware County Times for many years. She was a member of Our Lady of Lourdes Catholic Church in New Holland. She enjoyed volunteering at the church, her cats, and spending time with her family. Surviving are two sons, Cpt. Steven Johnson USN Ret. husband of Patricia of Virginia Beach, VA, and Robert P. Johnson, M.D. of New Holland; 13 grandchildren and numerous great grandchildren. She was preceded in death by two sons, Michael and Donald Johnson and by siblings, Harry O’Neill, Alice Ripp, Joseph O’Neill and Eugene O’Neill. A Mass of Christian Burial will be held on Wednesday at 2:00 P.M at Our Lady of Lourdes Catholic Church, 150 Water Street, New Holland, PA with the Rev. Walter Guzman as celebrant. Friends may call at the church on Wednesday from 1:00 P.M. until the time of the service. Interment in the SS. Peter and Paul Cemetery, Springfield, PA. In lieu of flowers, contributions in Mrs. Johnson’s memory may be made to VisionCorps, 244 N. Queen St., Lancaster, PA 17603. 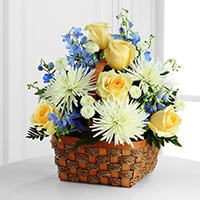 To send flowers to the family of Anne M. Johnson, please visit our Heartfelt Sympathies Store. We encourage you to share any memorable photos or stories about Anne. All tributes placed on and purchased through this memorial website will remain on in perpetuity for future generations. Wish we could be there. Thinking of you all. Dear Johnson family, I send my deepest condolences out to you. I pray that you draw comfort from the words found in John 5:28,29- “Do not be amazed at this, for the hour is coming in which all those in the memorial tombs will hear his voice and come out... to a resurrection...” Jehovah God, who is all-powerful and loving, promises that our loved ones that are asleep in death will live once again. We can be sure of this promise. Dear Johnson family, I had the privilege of caring for Nana at Evergreen Estates as well as Lancashire Hall. I enjoyed many conversations with her over morning coffee and later held her hand at the nurses station in the middle of the night. She was a beautiful woman inside and out. She was Godly and had wisdom beyond words. She always had advice and her advice always ended up being very helpful.I was blessed by her life. I am unable to attend services but will be there in prayer and heart.